Although there is no denying that dairying is facing tough times, quality rural properties in the Waikato, particularly those in sought-after locations with easy contour, are still selling for good money. An excellent recent example of that was the auction late last month of a 91 hectare Waotu farm, 9.5 kilometres south-west of Putaruru. 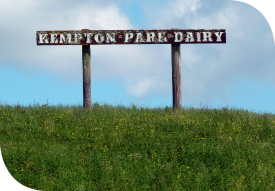 Once a world-renowned horse stud, Kempton Park Dairy Farm produced 143,000 kilograms of milksolids in 2014/15, milking 290 cows through a 24-a-side herringbone dairy shed and supplying to Open Country Dairy. At the auction, the farm sold under the hammer for $4.9 million. Auction is invariably an excellent way to sell a farm and our success rates for auctions at PGG Wrightson Real Estate remain at record levels. This one was no exception, with the vendors and the purchasers well satisfied with the result. Two other potential purchasers were in the auction room, qualified and ready to bid. While they were not quite as willing to buy as the party that succeeded in the auction, they demonstrated that there is interest out there, and they are both still looking for the right property to meet their business objectives. That follows through with other dairy properties we are marketing at present. While the level of enquiry has tapered off in recent months, with buyers cautious about the cashflow consequences of the reduced payout, those who are interested have money and are looking to use it. While such interest is unsatisfied, for farms in favoured locations and with advantageous contours, dairy values should remain steady. Dairying aside, others in primary production are doing well and my PGG Wrightson Real Estate colleagues who specialise in kiwifruit and grape properties report record sales of orchards and vineyards. Our FruitFed team informs us that the current season’s outlook in those sectors is bright so expect these sales trends to continue. In the sheep and beef sector meanwhile, our livestock agents report record prices for beef cattle, which indicates demand in that part of the property market, currently also trending firmly, should remain strong. Richard Leach sells rural property for PGG Wrightson Real Estate. Based in Putaruru, he operates from Matamata through Central Plateau to Taupo. Bringing a strong farming and sales background to the rural property sector, he was recognised as the company’s nationwide ‘rookie of the year’ for rural property sales in 2014/15.